Offer your visitors hundreds of funny Arcade, Action, Adventure, Sports, Jump N' Run Online Flash Games with this turnkey website php script. Start instantly a high traffic site, earn money from adsense, affiliate programs and pay per impression. This php flash games script is fully packed with features and search engine optimized. 200+ flash games are already included*, so you can start with your flash games website within minutes. - 200+ games are already included*. - Show the number of plays per game. - Easily add as many new games (swf), as you like. 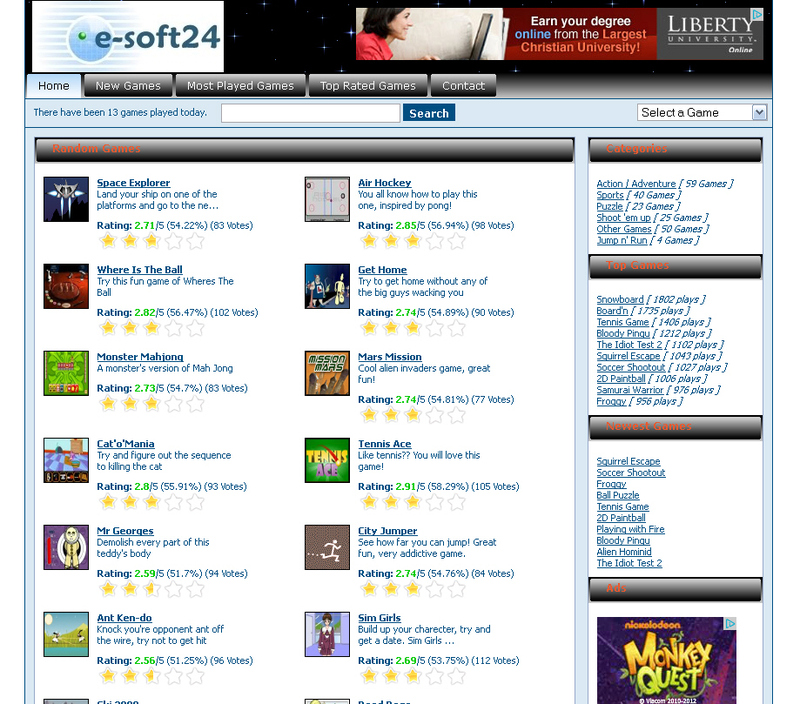 - Display random games, new games, most played games, top rated games. - Create your own game categories, as much as you like. - List games by category. - Social bookmark modul, that allows your vistors to easily add your game url's to popular bookmark sites. - Tell a friend function. - Share game url feature. - Fully search engine optimized. - Clean XHTML and CSS style. - Security improved hand-coded php script. - Easily edit static page "contact" to your needs and change the site logo. - Upload new flash games and images. - Easy ad (AdSense and all other banners are supported) and site settings management. - Edit site meta tags (title, description and keywords). - Setup the amount of games displayed per page. * We have NOT developed and we are NOT selling the included flash games. The object for sale is only the php script. The games are free available in the internet and free to use. We have included the games to the script archive and script database, only to save you time and work. You can add further free or paid games to the script. - MySQL Database 4 or higher. - Minimum 100 MB free web space. - htaccess and mod rewrite enabled.